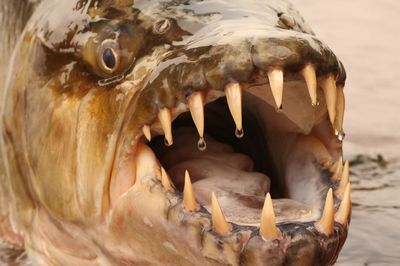 Brand new special, ‘Tigerfish: Africa's Piranha’, reveals the truth about Tiger fish, a terrifying freshwater predator. Growing to mammoth proportions they have outsized razor sharp teeth and they are as aggressive as bull sharks. Extreme angler Andy Coetzee undertakes a hazardous journey diving the rivers of Africa to study the Tigerfish in its own environment.